WELLINGTON - On June 8, 1987, the parliament of New Zealand passed a law that has become a milestone in the evolution of the nation. The primary purpose of the New Zealand Nuclear Free Zone, Disarmament, and Arms Control Act 1987 was to establish a nuclear- free zone in New Zealand. Any New Zealand citizen or resident is forbidden to manufacture, acquire, possess or have any control over any nuclear or biological weapon. The law covers all New Zealand territory, including airspace and ocean territory up to the 12 nautical mile limit. The entry of nuclear-powered ships and the dumping of radioactive wastes are prohibited. The law also established a Public Advisory Committee on Disarmament and Arms Control. I was a member of PACDAC as a professor at the University of Otago in the early 1990s. Against the global backdrop of elevated nuclear threat levels, many New Zealanders concluded that involvement in the United States’ nuclear-deployment practices exposed the country to global nuclear risks more than it protected the country against nonexistent national security threats. NGO activists succeeded in converting the Labour Party to their cause and in 1985 the Labour government of Prime Minister David Lange terminated the practice of permitting the entry of nuclear-capable U.S. ships into New Zealand ports without an explicit declaration that they did not carry nuclear weapons. Because that was a global U.S. policy, Washington refused to make an exception for a minor ally and New Zealand effectively parted company from the ANZUS alliance, which fractured into two bilateral alliances between the U.S. and Australia, and New Zealand and Australia. Anniversaries are occasions to take stock: Reflect on progress, celebrate successes, acknowledge setbacks and outline a vision and road map for doing better. Thirty years of the passage of a landmark law is a major anniversary. 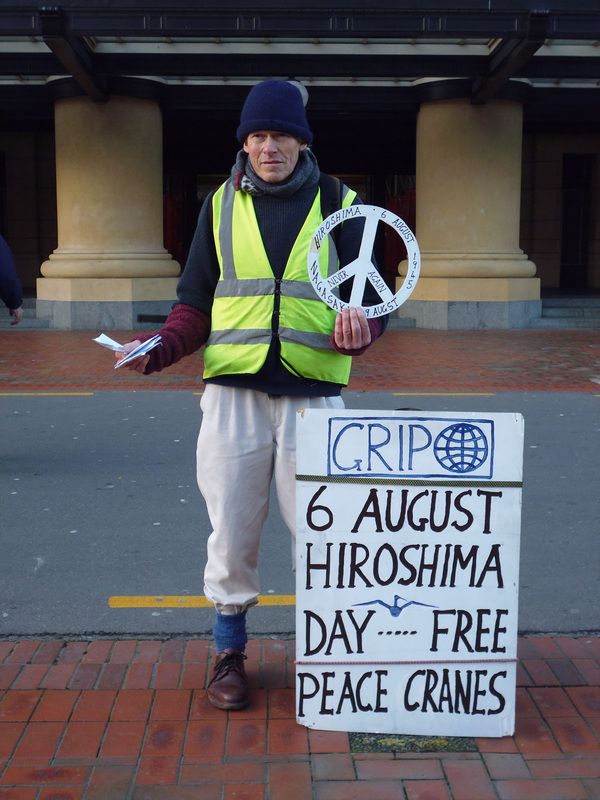 The 1987 nuclear-free act was a milestone in New Zealand’s development as a nation and a determined assertion of national sovereignty and self-determination. Today the nuclear-free law is widely considered to be a part of national and cultural identity, as became clear to me in a roundtable conversation with around 20 high school students in Wellington. I was in the New Zealand capital to help the Institute of International Affairs and the United Nations Association celebrate the 30th anniversary and pay tribute to one of the pioneers of the movement in the 1980s, the late Dame Laurie Salas, who was also a personal friend. The 1987 nuclear-free act had a broader purpose still: “to promote and encourage an active and effective contribution by New Zealand to the essential process of disarmament and international arms control.” The global geopolitical context of New Zealand’s national legislation was the heightened tensions between the U.S. and the Soviet Union as the world’s nuclear superpowers. New Zealand’s anti-nuclear movement was one of the many powerful civil society fronts of anti-nuclear activism around the world. The 1987 national law, ahead though it was of its time, reflected the circumstances of the first nuclear age. Today we confront the risks and threats of the second nuclear age. The first nuclear age was shaped by the overarching U.S.-Soviet ideological rivalry, their competitive nuclear arms buildup and doctrines, the development of mechanisms for maintaining strategic stability, and the practice of strategic nuclear policy dialogues among the U.S. and its allies, and also between the U.S. allies and the Soviet Union. The second nuclear age is characterized by multiple nuclear powers with crisscrossing ties of cooperation and conflict. Several have fragile command and control systems. Cybersecurity is of critical importance to all. Some hold asymmetric perceptions of the military and political utility of nuclear weapons, with China and India having declared no-first-use policies because they foresee political more than military utility in nuclear weapons. China, India and Pakistan have also had long-running territorial disputes, so that today threat perceptions between three or more nuclear-armed states exist simultaneously. The Cold War nuclear dyads have accordingly morphed into interlinked nuclear chains with a resulting greater complexity of deterrence relations between the nuclear powers, so that changes in the nuclear posture of one can generate a cascading effect on several others. The nuclear relationship between India and Pakistan, for example, is historically, conceptually, politically and strategically deeply intertwined with China as a nuclear power. On top of all this, state-sponsored cross-border militancy and extremism involving nuclear-armed states is another contemporary reality, as is the fear of nuclear terrorism. Thus the central dynamics and drivers of nuclear policy and relations in the second nuclear age are qualitatively different from the earlier era. Even though there are fewer nuclear weapons in the world today than at the height of the Cold War, there is a higher likelihood of their use — by design, accident, rogue launch or system error. With 1,800 nuclear weapons held in a state of hair-trigger alert, we run the risk of a nuclear war launched by blips on the radar screen. The updated response therefore is the negotiation of a universal prohibition treaty that will scale up the New Zealand national law to the global level. 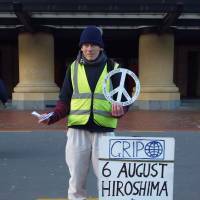 On June 8, Kennedy Graham of the Green Party submitted a motion in parliament that would have noted the 30th anniversary of the national legislation and called on New Zealand to lead the negotiations to complete the global nuclear ban convention. Following a logic so fine that it was impossible to see, Foreign Minister Gerry Brownlee took New Zealand back to the 1980s in emphasizing the importance of the Nuclear Non-Proliferation Treaty instead, calling on nonmembers to sign it as non-nuclear weapon states. How 20th century is that, asking India, Israel and Pakistan to renounce their nuclear weapons in permanent legal obligations while Britain, China, France, Russia and the U.S. keep them? The government motion also singled out North Korea for condemnation when Pyongyang possess but 20 of the world’s estimated 15,000 warheads. The best that can be said is Brownlee is new and learning on the job. On the other hand, the government has abolished the separate post of minister for disarmament, which might be evidence of the country trying to crab-walk away from its legally entrenched nuclear-free national identity. Happy 30th anniversary, New Zealand. Professor Ramesh Thakur is director of the Center for Nuclear Non-Proliferation and Disarmament, Australian National University..